Sleepy Hollow is a clever re-imagining of the classic tale of the Headless Horseman of Sleepy Hollow. Airing on Fox on Mondays, the pilot originally aired on September 16th and the second episode "Blood Moon" on September 23rd. 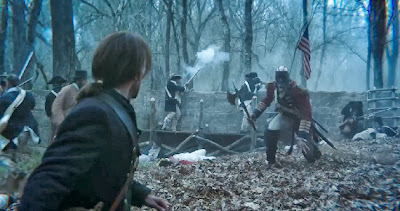 Fox's Sleepy Hollow as you learn in the first episode is more than just about the headless horseman. 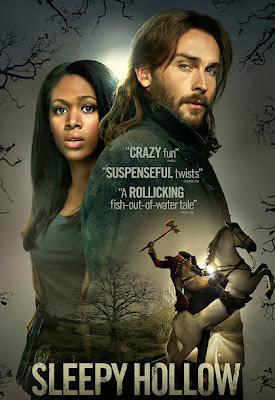 Rather, the town has become a battleground of good vs. evil with police officer Abbie Mills (Nicole Beharie) and a man out of his own time, Ichabod Crane (Tom Mison) caught in the middle. The show on first impressions reminds me a lot of Buffy the Vampire Slayer or even Supernatural. While the show has many dark elements there is also intermittent humor throughout with the charismatic Ichabod. 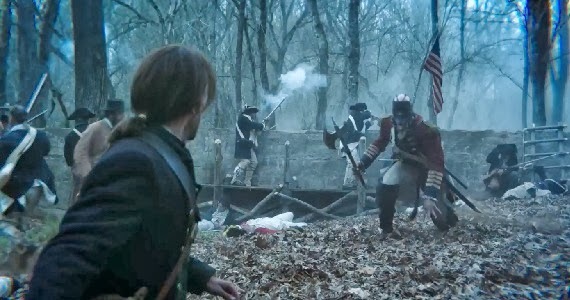 Ichabod in Fox's Sleepy Hollow is quite the contrast to the timid one in Washington Irving's version in his short story. He is first introduced as a revolutionary war soldier looking for a man with a particular mark on his hand. Unbeknownst to him the man he is seeking you'll learn is Death himself, one of the four horsemen of the Apocalypse. The red coats as you'll learn later have made a deal with Death. It's kind of bizarre to think why Death would need to make a deal with them and go around fighting their battles. But alas their "lives" become intertwine and we are flashed forward to the present where they are reawakened. 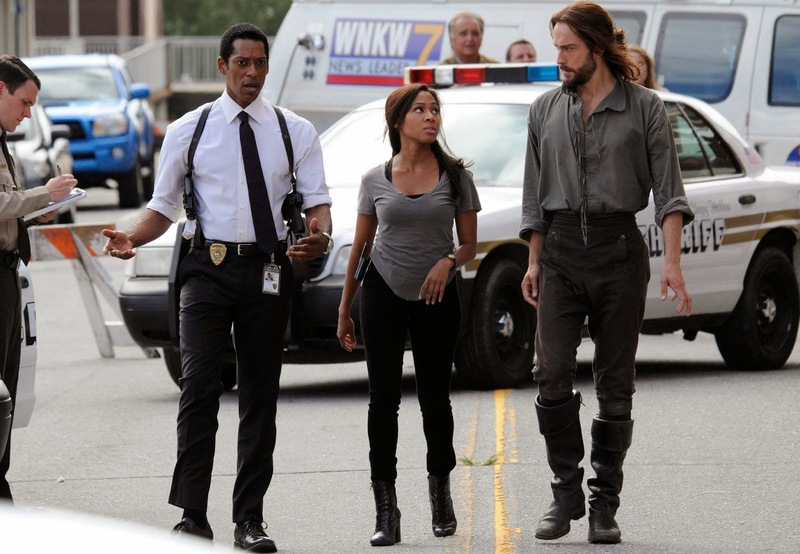 In the present, we're introduced to Abbie Mills who looks to leave Sleepy Hollow to work for the FBI in about a week. His partner unfortunately, has a run in with the well-rested Headless Horseman. After the incident she meets Ichabod Crane who is the primary suspect but is freed after passing a polygraph test. In the remainder of the first episode we learn more about Ichabod's past in particular his wife being a witch. In the second episode the duo must stop a witch that has been brought back to get revenge to get her body back. The mysterious demons or people who were behind the resurrection of Death is also responsible this witch. Overall, I really enjoy the series thus far. The acting in the series is great helped by amusing dialogue between the two leads. It's great to see Orlando Jones and John Cho back on the small screen even if their roles are limited. The creepiness in this series is quite up there though some of the background stories have holes in it. I am looking forward to continuing this series. At the end of episode two they briefly show us Abbie's sister who has been in a psychiatric ward since a childhood incident with her sister. It'll be interesting to see what role she plays as well as Orlando Jones's character since he is always acting suspicious.